Sixth volume of episodes from the Italian crime drama based on the series of novels by Andrea Camilleri. 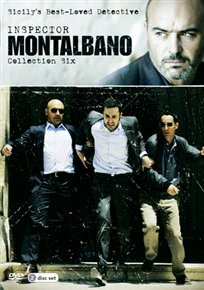 Salvo Montalbano (Luca Zingaretti) plays a key role maintaining law and order in the town of Vigata in Sicily. Navigating his way around the fraught terrain of the Italian justice system isn’t the only issue faced by Montalbano – his dual indulgences, food and his girlfriend, Livia (Katharina Böhm), often threaten to derail him. The episodes are: ‘Angelica’s Smile’, ‘Hall of Mirrors’, ‘A Voice in the Night’ and ‘A Ray of Light’.